Accesible designer shoes provide luxury and value for today's discriminating shoe buying customer who has access to EVERYTHING with a click and a screen. Coye Nokes-continues to focus on footwear collections for women with what we we call highly evolved tastes for shoes…"simple" sophisticated clean elegant lines, little in the way of brash blingy embellishments ---letting the the silhouettes and meticulous craftsmanship speaking volumes of good taste…letting the wearer wear the shoes…not the other way around. On trend styles and materials (largely rich neutral tones) for Fall 2014 --- BONUS...embedded with cushioning footbeds that provide an extra level of comfort. A kind of chic smoking slipper slip-on with pointy toe-the INAS flat ($295-$360) adds a level of sophistication for street worthy shoes as comfy as bedroom slippers- in leather, patent, suede and calf's hair…a casual shoe for Fall that will find favor with women who are used to lifestyle sneakers…and won't suffer for fashion-ESPECIALLY including painful footwear. Red hot crimson eel…block heel Isabelle pump $350 and Madeline peep toe $350 are bright neutrals to wear year round. One of the easiest heels to walk in and urban friendly ---block heel…not chunky, offers height --and looks proportionately good with many different work and causal wardrobes…a seven day a week shoe. Coye Nokes booties in sure with gold metal trim details are slim in profile…so as to elongate the legs…not cut them off at the ankle-which flatters no one. 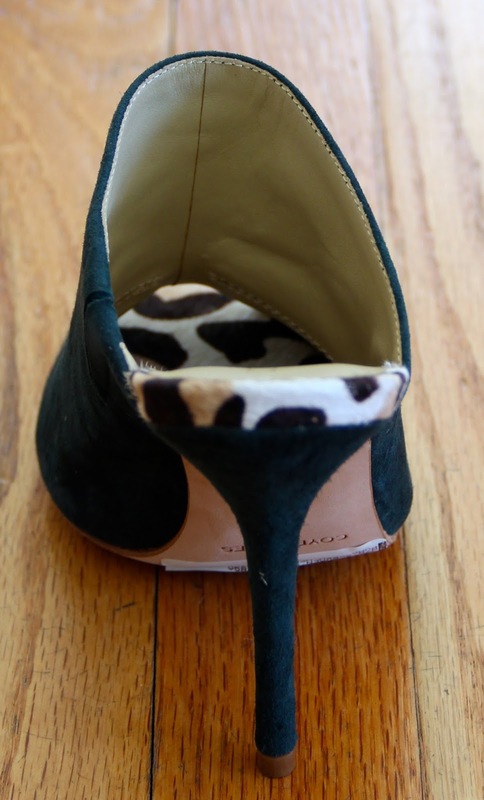 Leopard animal prints-are practically neutrals, fashion wise…pictured here in several styles…. With the popularity of booties…tall boots need to be extra special for women to want…and comfortable too…there is a limit to how many pairs of sky scraper heeled boots one has resting peacefully in the back of one's closet. Coye Nokes actually too a walkable wedge heel-narrowed it for s sleek look…and added plush suede/leather uppers…with an equestrian feel to her tall boots. 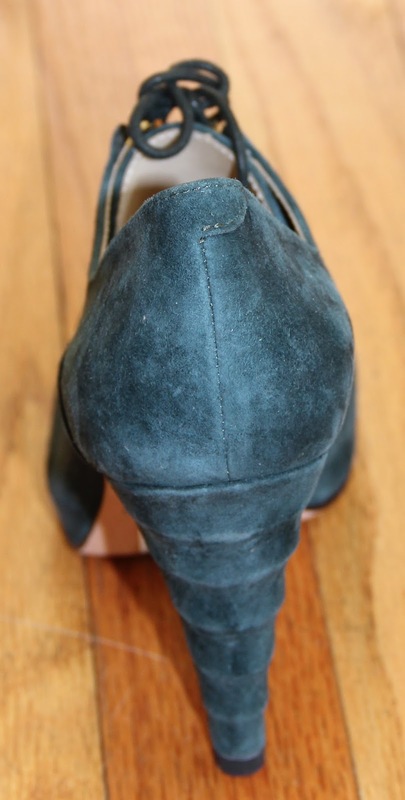 Colette Bootie $395 in a beautiful Marine Suede- blue teal peacock blue---a very popular shade in footwear for Fall.